Thomas is the co-founder and CSO of EdgeLeap. He has nearly ten years experience in bioinformatics research, with a focus on network biology, data integration and data visualization. 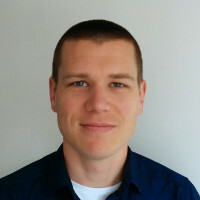 Thomas studied Biomedical Engineering at the Eindhoven University of Technology, followed by a PhD in bioinformatics at Maastricht University. Thomas contributes to several leading open source projects in the bioinformatics field and participated in the annual Google Summer of Code projects, both as student and mentor.